It starts out in Ocala, FL in March and moves its way across the map hitting cities like Michigan and Washington ‘til it arrives in Antioch, CA for the grand finale. This year’s Billetproof kept up to past standards by being the blowout show to end a great Northern California car season. Being that it’s the last big show of the year, Alan Galbraith and the boys from the Dragoons Car Cult set out to make this a show to remember. With a car count of 850 plus and a spectator total exceeding 3000, well, you do the math. We showed up early, and I mean early, to catch the roll in. The sun was just peaking over the hills of Antioch and there was already a stable of rods 2 to 3 city blocks deep and MyRideisMe.com captured all that went down at the 16th Billetproof in 2012. The rods and spectators filled in fast and furious and by noon time, it was a packed house. The weather was spectacular, the food was plentiful and the beverages flowed freely. There was a large contingency, like ourselves, that brought bbq’s and fired up some great car show fare. To go along with the good food, there was a circus tent full of top notch vendors, including Mike LaVella of Gearhead Magazine, who is only 1 of 3 people who have attended all 16 Billetproof’s. Now that’s dedication. This year also saw the Road Lords pinup dunk tank for the Scarlett Fever charity featuring the Hells Belles pinups, and for the last dunk of the day, fabricating mad man Alex Gambino climbed into the tank. The show of outstanding rides was absolutely amazing. Every car club brought in the their best of the best. The Style Kings really showed their classic style with some early 40s Chevy’s while the Beatniks put some custom works of art out on the lawn area. You could walk up and down the Fairgrounds 10 times over and still notice rides you hadn’t noticed the first time around. You had 1940s Chevys and 1930s coupes in one area, then you could walk across the way and you’d be greeted by a slew of shaved and slammed 1950s shoeboxes. Take 10 steps to your right, a row of 30s roadsters. Twenty steps left, find a row of 50s wagons. As for the paint… This show had more color than Baskin Robbins on acid. From choice stock flat colors to flaked out early 70s style, take your pick. Relentless Car Club had their brilliant laced-up roofs that was straight up Chicano low ride style. 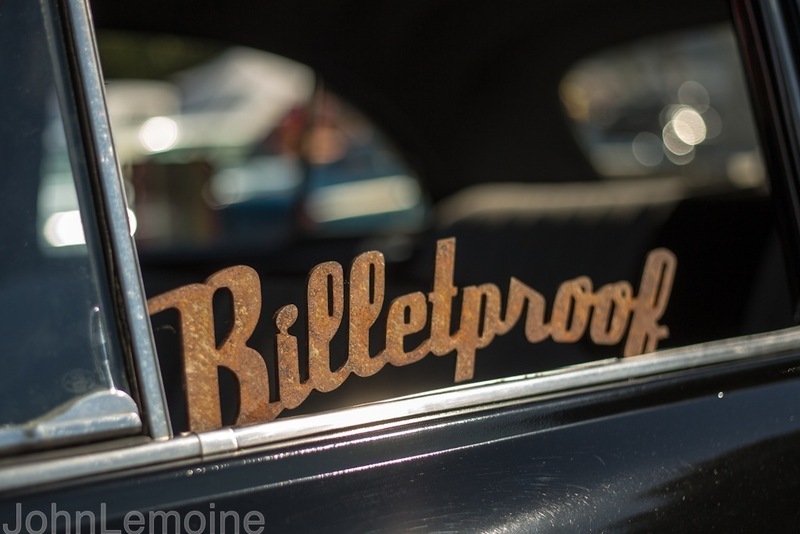 Billetproof did not lack on what they stand for as well. I was told, “If you trailered it in, keep on going to Pleasanton.” Which I agree with 100%. That’s what this show was all about and has been for 16 years: The cars and the people that build them. 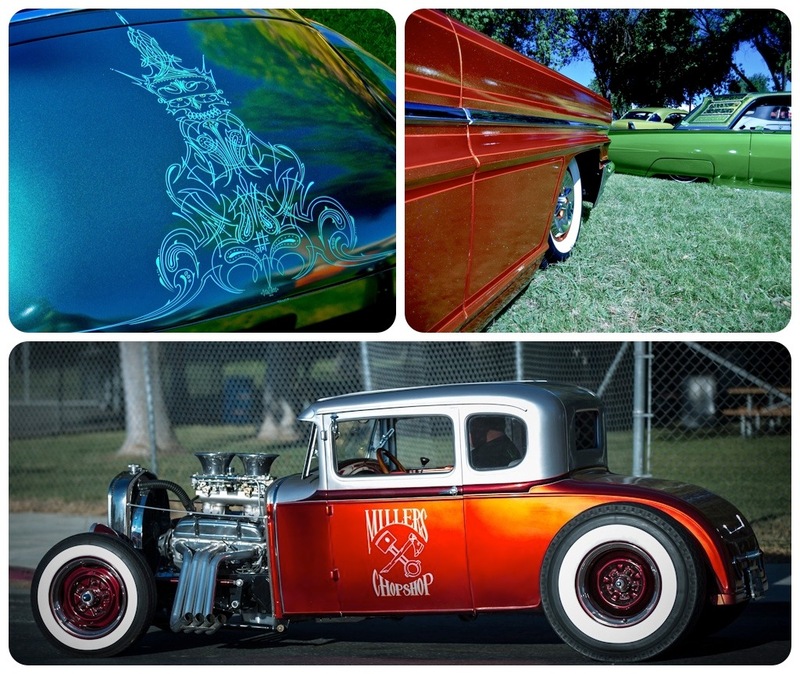 Like every year, Mitzi Valenzuela of Mitzi and Co had her Miss Billetproof Pin Up contest. 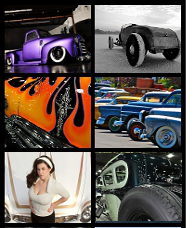 Out of the 8 contestants, Athena Amore walked away with the title Miss Billetproof 2012. Congrats Athena! I know I’m forgetting something… oh yeah! The pinstripers. You know, the ones that add that special touch to all the classic and custom rides making them look just that much better. The pinstripers that make show awards look like “Show Awards!” The pinstripers that take time out on their own to make panels and other items to donate for raffles and charities. The pinstripers going cross-eyed trying to strip all those cell phone covers. Yeah, the pinstripers! Who, I must say, I have the utmost respect for. Billetproof provided a very nice array of artists including Kyle Martin, Trisha Turner, Justin Moore, Keri Luiz as well as Rich Luna, Mr.Wim, John Christianson and Terry from TBonez Grafix sightings. They all were whipping out artful designs one after another. 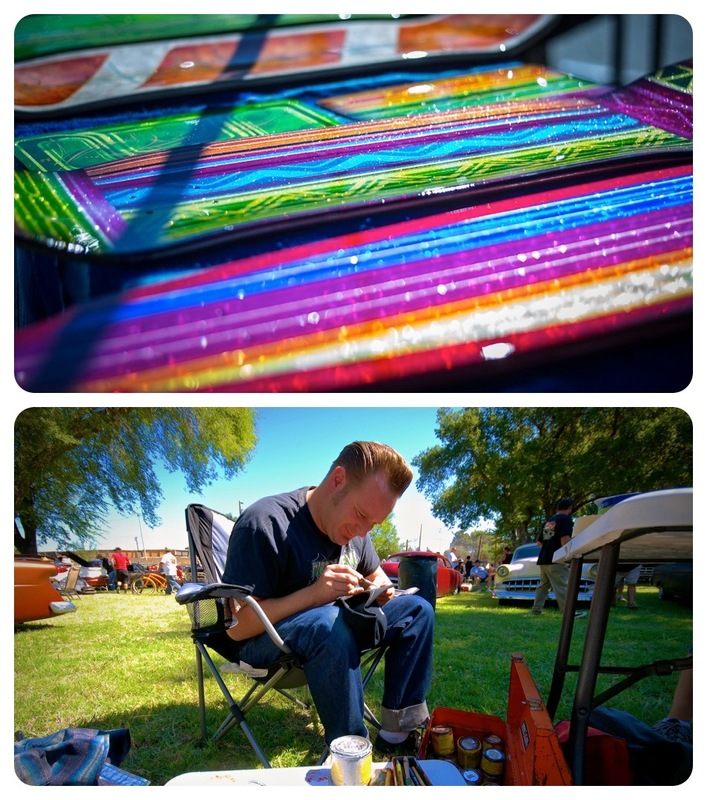 All in all, Billetproof proved once again to be an amazing show and real good time. Alan Galbraith puts out a great product and the masses follow in the form of another packed house with over 3000 of your closest friends. Then add awesome hot rods, custom cars, trucks and even a few boats coupled with a fantastic array of vendors and car show grub and drink on a weekend with perfect weather for the entire show. That’s how you do it! With another year of Billetproof in the books, it signifies that the Northern California car show season is nearing an end. But don’t despair, the new season starts again in February 2013 with the Sacramento Autorama. This was my 6th Billetproof appearance and don’t foresee myself stopping anytime soon. 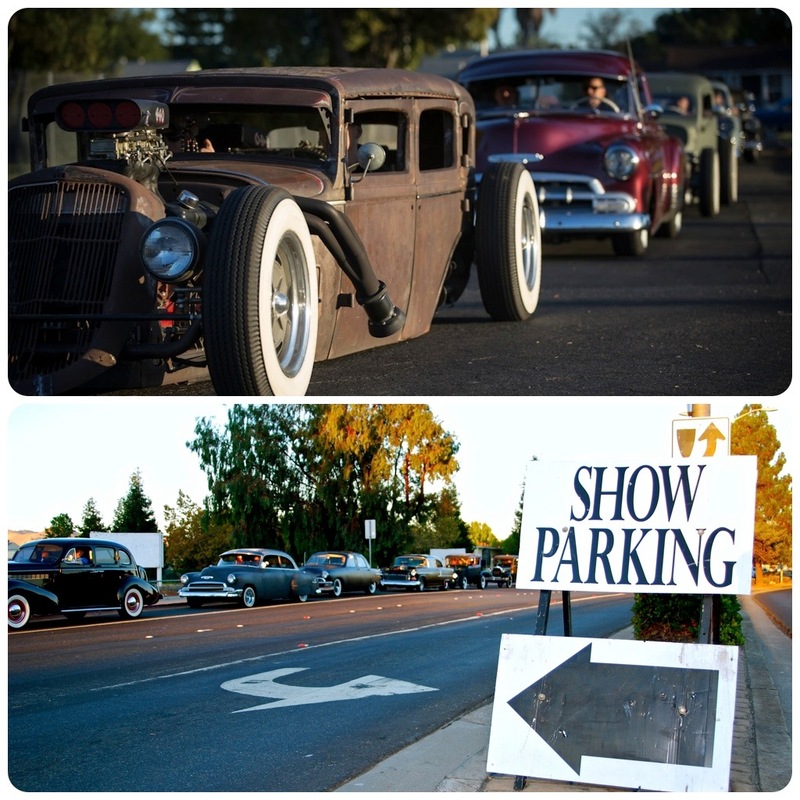 In the beginning of every new year there are a few choice car shows that go up on the calendar and Billet has always been one that gets inked in. I would like to thank Max and all the Dragoons for all their outstanding work at the gates (hope you guys liked the donuts!) and again Alan for his absolute dedication to the show. There is a reason why this show has been so successful over the years, it’s for the love of the cars, it’s builders and most all the passion of being able to say this is my ride and I built this… hence “ My Ride is Me”. For more info on all the Billetproof shows go http://www.billetproof.com.